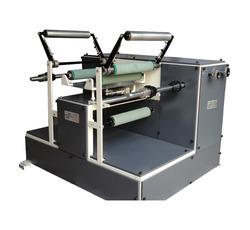 We are pleased to introduce that, we are one of the leading manufacturers of Doctoring Machine, Slitting Rewinding Machine, BOPP Jumbo Roll Slitting Machine, Rewinding Machine and Fabric Slitting Machine etc. Being a client-centric organization, we are engaged in offering an unmatched range of Doctoring Rewinding Machine Table Top to the clients. These products are developed using high quality material as per the latest standards keeping in mind the varied requirements of our clients. Our Winder Rewinder Machines for Inkjet Printing & Batch Printing are widely used by all Printer Manufacturers all over the world. 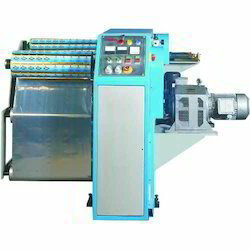 Our Winding Rewinding Machines give efficient prompt printing an all types of laminates like, Foil, Paper, LDPE, HDPE, PVC, etc. - High End Doctoring Machine With Anti – Vibration Migrated Steel Material Frame . In line with client's diverse requirements, we are involved in providing an optimum quality range of Doctoring Rewinding Machine. Due to rich industry skill and experience, we have been accomplished to provide our valued customers the best quality range of Doctoring Rewinding Machine. Being a client-centric organization, we are engaged in manufacturing a range of Doctoring Machine. We are one of the leading organizations, engaged in manufacturing and supplying excellent quality Doctoring Rewinding Machine. In order to cater the variegated demands of our precious clients, we are offering an excellent quality range of Doctoring Rewinding Machine. Our expertise enables us to offer precision engineered Doctoring Rewinder Machines. These machines are highly suitable to salvage any type of wrongly build up, defective printing and laminated reels of up to 500 mm width. Minimum change over time is required by these single operator rewinder machines. With these machines, inject printing also can be done on film surface.